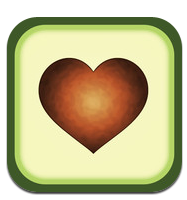 Avocado, for iPhone and Android, helps couples create to-do lists, share pictures, send quick notes and private pictures. It’s named “Avocado” because avocado trees only bear fruit when they’re near each other. Isn’t that cute?